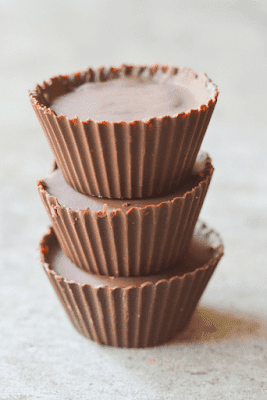 These Keto Peanut Butter Cheesecake Bites are a yummy, low carb, high fat, no-bake dessert that will have you running back for more. This is another easy Keto recipe that can be made in no time. I’d highly recommend those baking cups because they made a huge difference in structure and clean up. 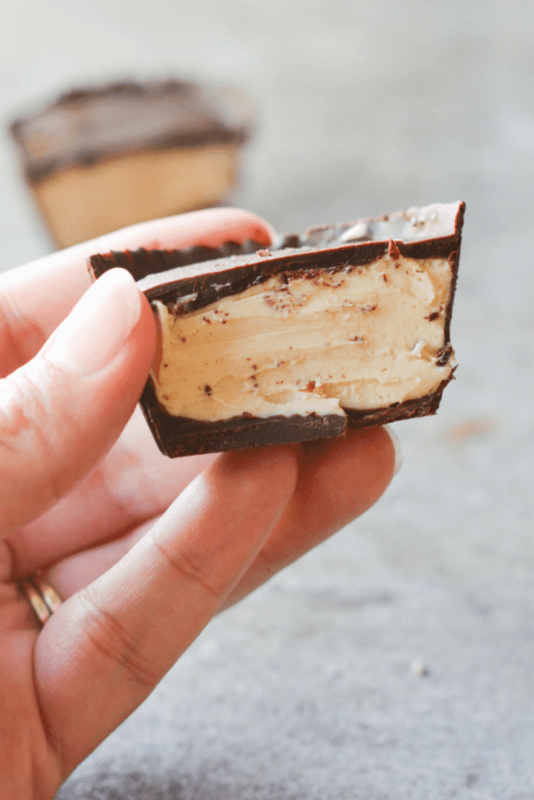 They’re also a really good serving size for these peanut butter cheesecake bites aka more than a couple bites! All you need is Cream Cheese, Heavy Whipping Cream, Erythritol (I use Swerve), Peanut Butter, Chocolate (Lily’s is my favorite! Sweetened with erythritol) and Coconut Oil.